The Saskatoon real estate market saw a 19% decline in MLS® home sales in September compared to a year ago. Total MLS® sales for September of 2016 totaled 324 compared to just 262 in 2017. The year-to-date total of 2,745 MLS® sales in Saskatoon, is a 6% reduction compared to 2,935 MLS® sales for 2016. Overall, the entire number of sale transactions recorded by the association in Saskatoon and region at the end of September was 3,701 units compared to 3,957 in 2016. This translates to a 10% decline in dollar volume or roughly $140 Million dollars. The number of available properties for sale declined by around 100 units from August to September with a total of 2,082 available properties on the market. The five year average for active listings on the market is 1,797 units. “Ideally it would be nice to see the number of active listings around that five year average or lower” comments Jason Yochim, CEO with the Saskatoon Region Association of REALTORS®, “that level of inventory would bring us closer to balanced market conditions.” By comparison, in 2007 when the market was a strong sellers’ market with escalating home prices, there was an average of just over 400 active listings through the year. Ten years later that average is just under 2000 active listings. The average length of time for a home to sit on the market is 55 days, just slightly above the five year average for days to sell in September which is 46. The sales to listing ratio is a comparison of the number of sales for the month relative to the number of new listings taken. It is considered to be a balanced market when this ratio falls between 40-60%. A percentage above this range is considered sellers’ market while a percentage below is considered a buyers’ market. The sales to listing ratio for September was 34%, well below the five year average of 42%. “In a buyers’ market with elevated inventory levels it is critical to understand pricing and to properly prepare your home to compete against other homes in your price range.” cautions Yochim. 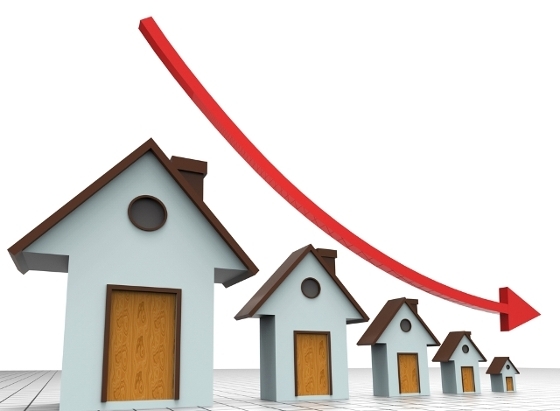 The average selling price for a home in Saskatoon for the year decreased by 1.4% to $347,043. The median price also declined slightly by 2.1% to $327,900. In July of this year the Saskatoon Region Association of REALTORS® elected to remove lot sales from the aggregate number of home sales to give a more accurate picture of pricing. This change has helped to support the average price to some degree in comparison to last year. The MLS® Composite Home Price Index (HPI) Benchmark Price increased by 3.6% to $326,700, up 3.6% from a year ago. This increase is also impacted by the removal of lot sales from the total sales volume. The Composite HPI measures the rate of change in a benchmark price for a typical home and is the most accurate indicator of pricing direction in a market.